How do you solve a UX problem like NASA? If you’ve ever wondered how NASA takes UX design into orbit, you’re about to find out. 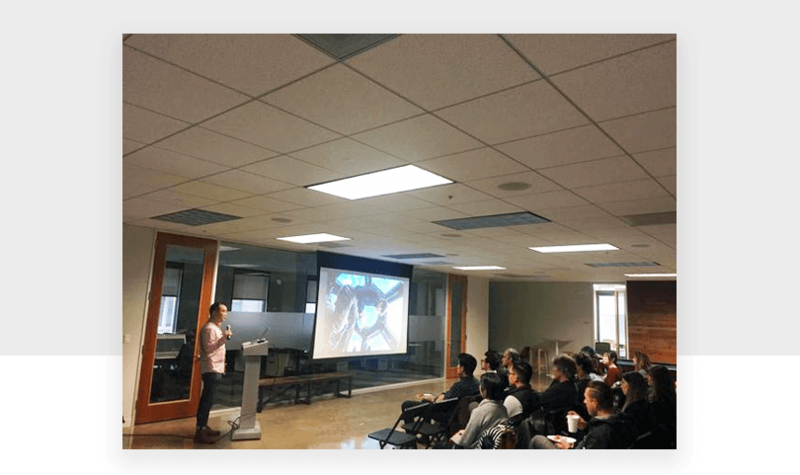 Justinmind recently held a UX design prototyping Meetup with one of NASA’s interaction designers, Ron Kim. Ron is part of a human computer interaction group consultancy (the NASA HCI Group) within NASA, which comprises 30 people, including designers, researchers, developers and QA engineers. The small UX team works in conjunction with other departments, namely the Johnson Space Center, to create products that will be sent to space. This isn’t without its difficulties, as you’d expect in any company. 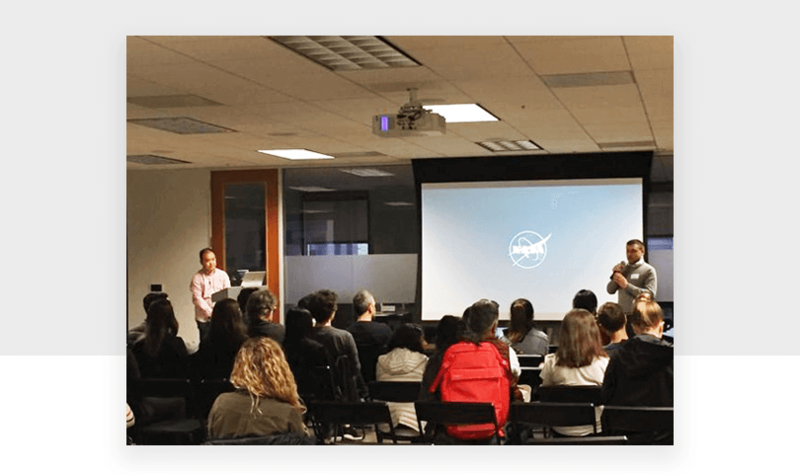 In the illuminating talk, Ron gave us insight into what role UX design plays at NASA and how the NASA HCI Group is involved in creating human-centered tools that help astronauts go about their day. Take your prototyping out of this world. Download Justinmind. The NASA HCI Group mainly supports two groups at NASA: the international space station (yep, that one) and exploration systems development (which deals with deep space rockets). Out of all that organizing and planning, The NASA HCI Group developed a web app called Playbook. Playbook allows astronauts to schedule their day. This might not sound like a great feat of UX design but this humble web app means allows astronauts a sense of independence and freedom, something they didn’t have previously. Playbook is important for a variety of reasons but strikingly, as astronauts venture further into deep space, they are no longer able to enjoy instant communication. This creates the need for astronauts to autonomously plan and schedule their lives whilst in space because ground control can no longer talk with them. The NASA HCI Group is designing for highly skilled engineers and scientists. This doesn’t come without its difficulties. By embedding themselves as a brand within NASA, they were able to encourage legitimacy and trust for the work that they were doing. This meant other groups in the agency knew the people who are building the tools they use. The NASA HCI Group is creating solutions for a very specific set of people and so it’s critical that they understand these users because their work domain is so far removed from what the group is used to doing, meaning more time is spent on user research. Observation involves post-it notes, interpreting findings and extracting meaning from learnings. This is when they’ll start to formulate software requirements. This stage is important, Ron says, because it can be easy to forget the user. To solve this problem, they rely on user stories. To synthesize ideas, the team will sketch. No worrying about quality necessary because they need to stay open-minded and creative. Once sketches are refined and ideas have been turned into requirements, the next stage is building. That means prototype development using a mixture of low-fi and hi-fi wireframes, paper prototypes and interactive prototypes. The hi-def prototypes get shown to users either in person or remotely for user testing. Who knew that marrying UX design and space exploration would change the way astronauts live in outer space? With a robust design thinking process in place and a team ready to tackle challenges, we’re excited to see what the team at NASA has in store for us next.